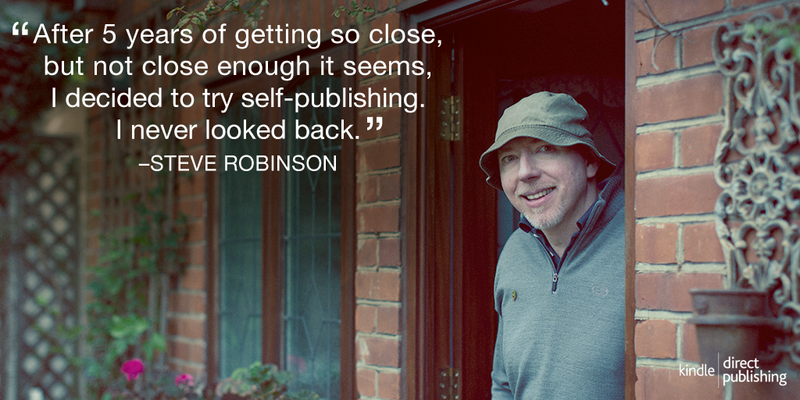 Steve Robinson - Author: The hat's out of the bag! 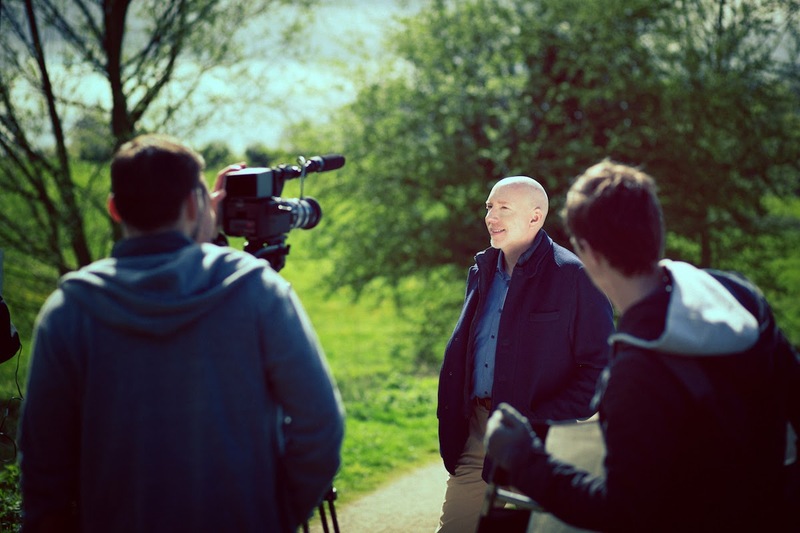 If you've been following my blog, you'll likely know that I filmed a mini-documentary for Kindle Direct Publishing earlier in the year. I had expected to see it sooner, but it makes perfect sense to release it just a few days before the release of my new Jefferson Tayte Mystery, The Lost Empress. During a telephone conversation with my editor on Monday, I was told it would be out towards the end of this week. 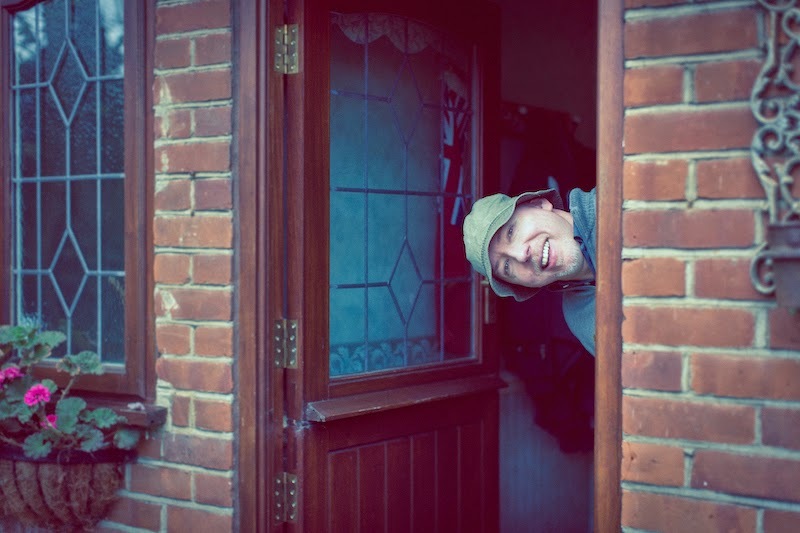 Then last night, via Twitter, I saw the photo above of me in my writing hat by my back door, along with the announcement that the film would be out tomorrow! It may also come as no surprise to some to know that I write while wearing a bucket hat, and I've been promising to post some pictures of me wearing it for some time. It began as a practical way to block out the sunlight streaming through my kitchen window, where I wrote much of my first three books. From there the hat became a way to block out my peripheral vision to reduce distraction while I was writing. I felt this helped me to focus. Since then it's become something of a quirky superstition, and I wear it whenever I write in the belief that I won't write well unless I do - as if it's a direct link to my muse and he won't call on me unless I've got my old bucket hat on. The threads are wearing a bit thin now, and I really hope it lasts at least long enough to finish my Jefferson Tayte series. It's crazy, I know, but it got me wondering about other authors' quirks, and I soon discovered that, not only wasn't I alone in this, but that my need to write in my trusty old writing hat is a rather mild quirk by comparison to what I found. As a means to shut out distraction, towards the end of her life and due to her illness, Flannery O'Connor used to write facing the plain wood of her dresser. Facing a blank canvas in one form or another seems commonplace amongst writers, and to paraphrase Francine Prose, that seems like the perfect metaphor for being a writer. Francine Prose writes in her husband's flannel pyjamas, by the way. Truman Capote has said that he can't think unless he's lying down, so he reportedly wrote horizontally. William Faulkner would stay up late drinking whiskey with a friend, and then disappear to write in the mornings, repeating the process come evening. Alexandre Dumas was superstitious about the colour of the paper he wrote on. He liked blue paper for novels, and when he was once forced to used cream paper he was convinced that it upset his writing. Edgar Allan Poe believed his cat, Catterina, to be his literary guardian. Vladimir Nabokov wrote most of his books on index cards and was very particular about the type of pencil he used. Early 20th century author, Thomas Clayton Wolfe, reportedly wrote while leaning on his refrigerator because he was so tall. And my favourite... John Cheever used to write in his underpants because he saw no sense in creasing the only suit he had at that time. You could call that practical and logical, but it's certainly eccentric. Do you know of any other authors' writing quirks or superstitions? If you're an author, perhaps you have one of your own. I'd love to hear about it. over the next few days. I'll post it here on my blog as soon as I can.